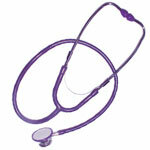 Here you will find items related to Rattie Health. TRW offers a vast range of products including Senior capsules, Ipakitine and Vet-Cal Progel, a high-energy vitamin supplement that rats love. 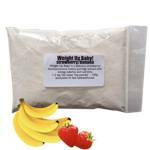 You will also find a good selection of excellent DrS supplements, as well as my very own, hand-blended, original, high calorie and delicious Weight-Up Baby! and the indispensable ground up maintenance rat and mouse diet. I do not offer a same day/next day shipping as a rule. If you require a health product urgently, please select standard shipping (not the default economy) and email separately using the contact page so we can prioritise your order. Our postal collection is at 14:55 so please order early enough to allow some time for your order to be prepared and postage booked. If you order other items but want your health product shipped first, please order it separately and request that order to be sent urgently. Unfortunately I cannot break up orders due to P&P costs. If you need help with products, please email me, if you have health queries, I might be able to guide you in the right direction or you can join www.facebook.com/RatHealthUK and post your questions. Ivermectin Drops 1% is now available without veterinary prescription for the treatment of fur, ear and mange mites and lice in rats, rabbits, guinea pigs, ferrets. Very cost effective and easy to use. One drop for 500g bodyweight. New 5ml bottle. As with all medicine, please read the enclosed information leaflet before use for doses and shelf life. 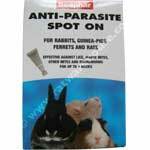 We recommend this product for people who have several animals to treat. If you have only a few rats, the Beaphar Spot-On pack may be better value for money. 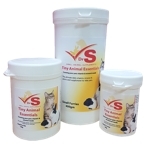 This veterinary medicine is marketed in accordance with the Schedule 6 Small Animal Exemption Scheme. 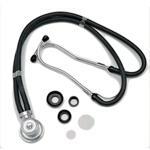 The Deluxe Stethoscope is a superior quality Rappaport-Sprague style instrument which is the standard by which all acoustic stethoscopes are judged since the 1940s. You can use it to listen to your Ratties' little lungs or other pets. There are plenty of how to guides on the internet to use a stethoscope properly but we will work with our vet to bring you a quick guide. It can be useful to monitor progress when your Ratties have been prescribed antibiotics by the Vet, you can listen to their chest a lot better with the Stethoscope than by putting your Rat to your ear. Please note that some boxes were slightly damaged in transit but this does not affect the quality of the item. Product image for illustrative purposes only. A cute addition for your first aid kit. 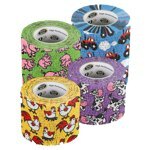 Funny farm Wrapz come in 4 fun prints, Cow, Chickens on Yellow, Red tractors on Blue and Sheep on Green. 5cm x 5m unstretched. Photo for illustrative purpose only. We will pick one print for you unless you email us to specify otherwise. Ivermectin Drops 0.1% is now available without veterinary prescription for the treatment of fur, ear and mange mites and lice in rats, mice, birds. Very cost effective and easy to use. 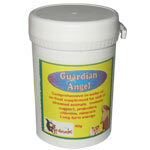 This product is marketed as a bird product but it is safe to use on rats. Use 1 drop per 50g of bodyweight. Perfect to treat small rats. Please note that whilst chocolate is toxic to dogs, it is safe to give to rats, some studies show that it can actually be beneficial to them. 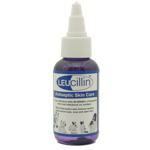 Leucillin is a Hypochlorous based antiseptic skincare product, non-toxic, skin pH neutral, suitable for use on all mammals. 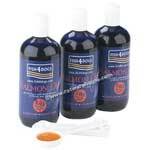 It can be used as a wound and abscess wash, it can help fight skin conditions caused by fungus or bacteria. It is also a useful addition to the hygiene routine of your elderly rats, especially when leg paralysis will make grooming more difficult. It is an invaluable addition to your first aid kit. Read more on product page. 50ml dropper bottle. A complete diet formulated specially for rats and mice, using human food grade soya, providing a consistent source of protein. Relatively low protein levels promote longer lifespan by reducing obesity and other health problems associated with ageing. Formulated for optimum health. Suitable for all rats including those with diabetes and kidney disease. 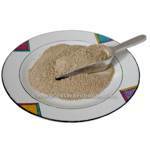 This finely ground presentation of the diet is ideal for old and sick and post-op rats who have trouble eating solid food and thrive on a soft diet. It will provide them with the nutrients they require without causing weight gain. We recommend that fresh food is also made available when possible. This diet does not contain meat, so you might want to add some fish oil or small amounts of chicken and fish as part of a varied diet. Just mix with hot water and let cool to serve. This food is great for rats with leg paralysis as they can eat without the struggle of sitting up and holding food. Also beneficial for elderly rats who eat dry food slowly, this is easier to eat so oldies can get their nutrients without struggling or using up their energy as they consume it. Sold in a trial 250g size, as well as 500g and 1kg bags. 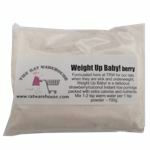 Weight-Up Baby! WUB it to pieces! This is a safe but powerful supplement, as effective as its main competitor but more affordable. 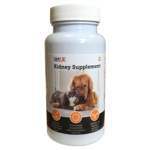 It binds phosphates, and is used in conjunction with a kidney friendly diet in the management of renal failure in cats and dogs. It is extremely effective in rats, and it is now used widely. 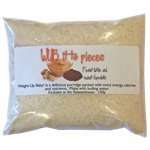 We offer you a smaller amount so that you only have enough for the one rat who needs the supplement. 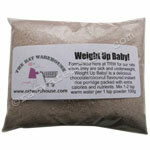 It can be used on wet food or mixed with Vetcal Pro-gel, Weight-Up Baby! or any other soft mushy treat. 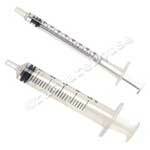 You will need one to two pinches once a day, twice a day if needed. 60g tub reduced to clear as BBE 03.19 but still effective for awhile afterwards. This liquid solution can be added to food or drinking water. PLEASE NOTE - Due to customs regulations, this product is NOT available to ship to Russia, Australia or New Zealand. Please check your countries restrictions before ordering. 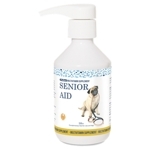 Senior-Aid is a fantastic nutritional supplement specifically designed to meet the nutritional needs of elderly pets and older Rats do certainly benefit from Senior-Aid. Now also available in a 30ml bottle, so you can try and see if your rats get on with it, or if you only have one old rat in need of the supplement and don't want to buy a whole bottle. 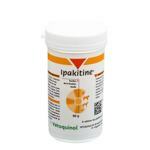 This is ivermectin for topical application, now available without prescription under the Small Animal Exemption Scheme. 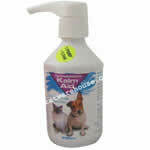 It will kill lice, mites and other parasites on small pets such as Rats, Guinea Pigs, Ferrets and Rabbits. If you have any doubt please ask your vet for advice. Box of 4 pipettes. One pipette per rat over 300g. 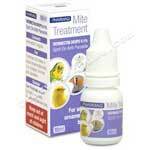 It is recommended to treat all your rats to eradicate all mites or lice and avoid cross contamination at a later date. 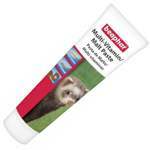 Beaphar brings us a fortified malt paste, originally designed for Ferrets, but it is also loved by Rats. It is a treat in a tube that rats will really go for. Our Rats absolutely love it. Contains prebiotics to aid digestion and is packed with B vitamins. 100g tube. 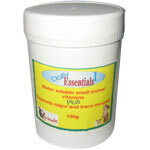 A supplement commonly known as 'Dr Squiggles', the Daily Essentials 1 by Dr Squiggles is used in drinking water and contains comprehensive vitamins and Rapisorb minerals. Rats love it and it does encourage drinking as it is very palatable. PLEASE NOTE - Due to customs regulations, this product is NOT available to ship to Australia or New Zealand. 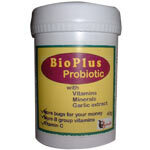 The Bio Plus Probiotic by Dr Squiggles is indicated to use with Rats who were given antibiotics. It helps restore the natural gut flora and also contains vitamins, and minerals. 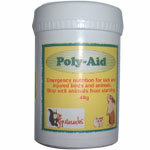 PolyAid (Survive in export market) is a food substitute for emergency situations, when your rat won't or can't eat. 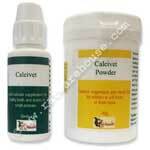 It was formulated to prevent starvation in sick animals. It is a wonderful product to have at hand when you have an old, sick or injured rat. Also suitable for other small animals as well as birds. PLEASE NOTE - Due to customs regulations, this product is NOT available to ship to Russia, Australia or New Zealand. Please check your countries restrictions before ordering. 10% off! Please note that some boxes were slightly damaged in transit but this does not affect the quality of the item. 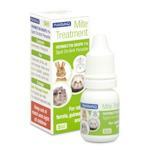 This is an excellent product which can come in handy when you have older rats (or younger ones!) who are incontinent and wet their bed. This Veterinary Bedding will keep them dry, avoiding skin irritations. Simply place newspaper underneath the piece of bedding and the urine will sink right through, the newspaper will absorb it, and the top of the bedding will stay dry. 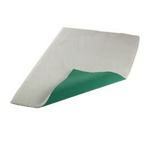 Change the newspaper daily and you have a clean and healthy environment for your bedwetters. Sold in pieces approx. 13 x 10 inches. Other sizes available on request. Colours vary. 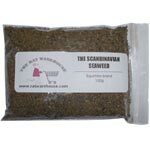 The Scandinavian Seaweed is pure dried kelp which contains 60 different minerals and trace elements known to promote healthy kidneys and circulatory system among other wonderful nutritional properties. Give a pinch on food once or twice a week. 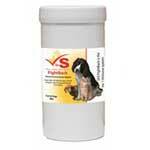 DrS Fightback is a comprehensive blend of vitamins, minerals and yeasts extract. It's a revolutionary nutritional supplement that helps support the immune system and help your pet recover from sickness, injury or even allergic reactions fast. Add it to food when your pets are looking under the weather, if your pet is ill, this can be used alongside medication as extra support. Please note this product is a supplement, not a medication. If your pet is very ill, they should be seen by a veterinarian quickly. 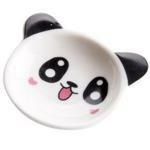 The Feeding Set by Trixie contains one soft feeding bottle which holds 57ml liquid, 3 silicon teats and one cleaning brush. It is a simple way to feed sick or injured animals. 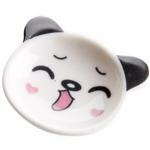 Put your medicine spoons and small treat saucers back in the kitchen and use a dedicated mini dish instead. 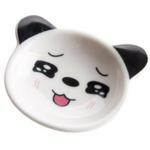 This adorable tiny panda plate is perfect to give your rats their medicine or supplements mixed in their favourite Weight-Up Baby! flavour. Measures approx 5 ½ x 6cm.